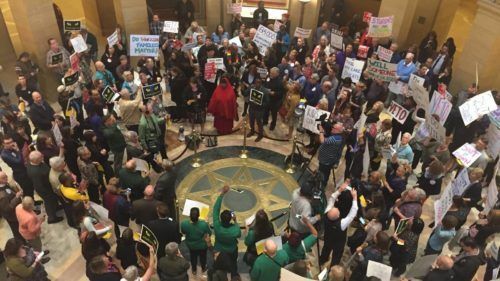 Educators rally with other labor and progressive partners against a series of Republican bills in 2017. 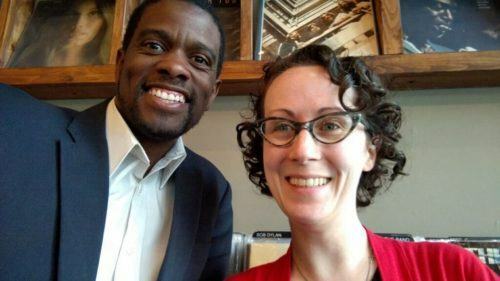 Vice President Erica Schatzlein met with SPFT endorsed mayoral candidate Melvin Carter. 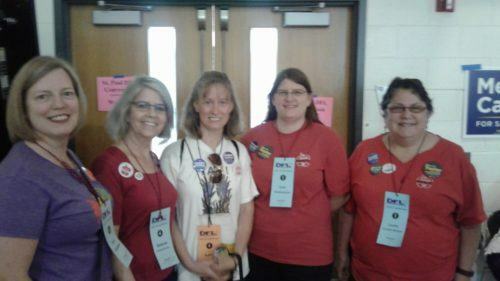 SPFT members were elected to be delegates to the DFL City Convention. The Saint Paul Federation of Teachers has long had an active and engaged political presence in our city. 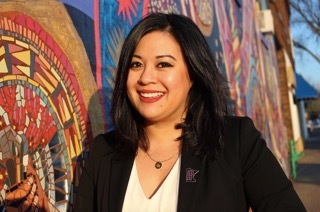 In 2015, our Caucus for Change movement unseated three long-time school board incumbents by thinking differently about politics. Instead of just engaging with political parties and candidates, we instead focused on issues that matter to educators and parents. Educators are most powerful when we work together with parents. We work together with members of the community to set an agenda for our elected leaders. In the past few years, we have fought for a more transparent school board, which engages with the community. Today, we are pushing our corporate and nonprofit neighbors to pay their fair share to support our city’s public schools. We have to work with our friends and allies to build coalitions that can work with elected officials to shape education policy. Our members drive SPFT’s political engagement. Our Committee on Political Education (COPE) is responsible for developing our union’s political plan and endorsing candidates. To learn more or get involved, contact COPE Chair Dane Ryan at dane.ryan@spps.org or Political Organizer Lynne Bolton at lynne@spft.org. We have questionnaires available for candidates running for Saint Paul City Council Ward 4, Ramsey County Commission District 3, House District 67B, and State Auditor.